Kansas City is bustling. 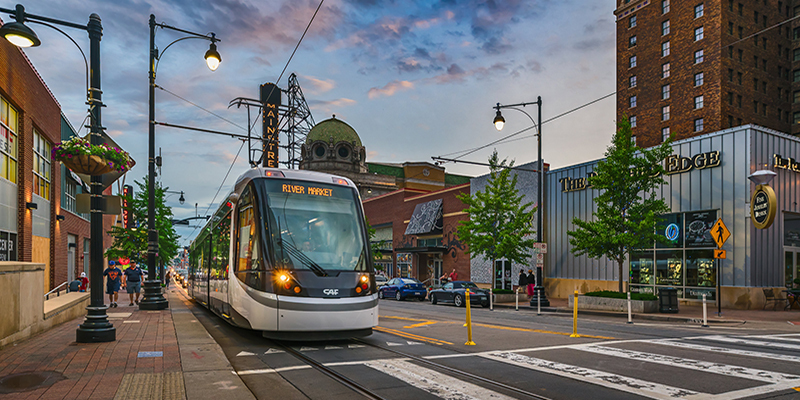 Ride through the heart of it all in style, all for free thanks to the KC Streetcar, which takes travelers to and from iconic hotspots such as River Market, the Power & Light District, Union Station and Crown Center. 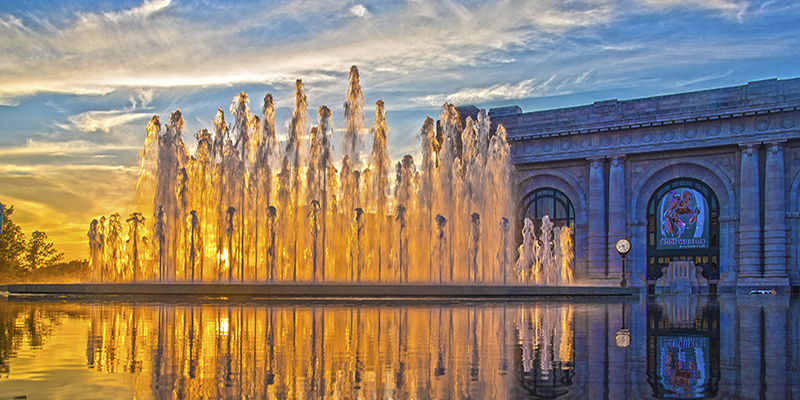 Explore some of the most unique, most historic and most quintessentially “Kansas City” things to do and see while traveling along the 2.2-mile route. International fare and local produce make this heartland favorite a must-visit streetcar destination. 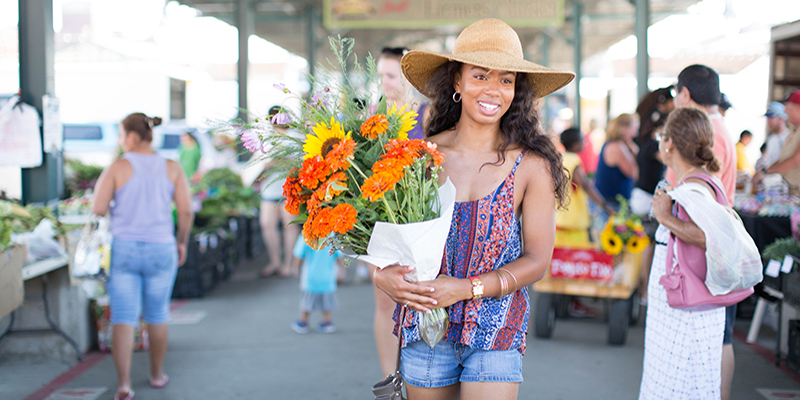 Spend weekends at The City Market farmers’ market, home to fresh produce, spices, flowers and more. Test your problem-solving skills at Breakout KC, a live-action group puzzle game that requires every bit of your wits. Kansas City’s riverboat past is on full display at the Arabia Steamboat Museum, where 200 tons of preserved, previously sunken treasure showcases life in the 1850s. Find your own hidden artifacts at popular salvaged goods shop River Market Antiques. At menswear specialist Houndstooth, guests can hand-design their own suits with the help of expert tailors, plus shop for clothing and other daily essentials. Don’t sleep on Kansas City’s artsy business center—located between the North Loop and Metro Center stops—a thriving region thanks to live productions, swinging jazz and a supersized homage to some of literature’s finest. 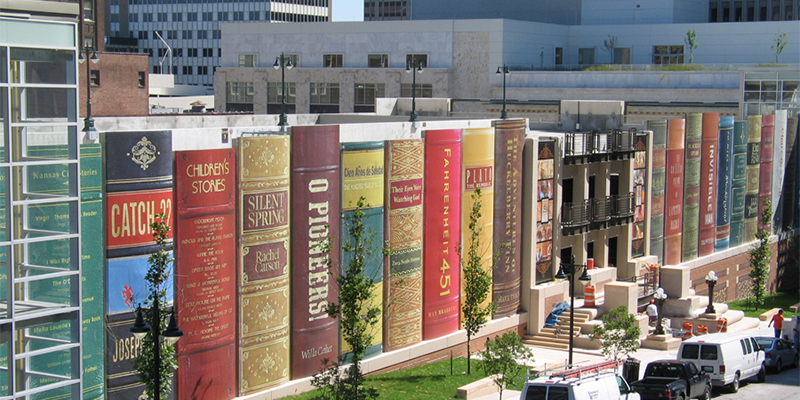 Take your love for literature to new heights on the rooftop at the Kansas City Public Library—and play larger-than-life chess while you’re there. 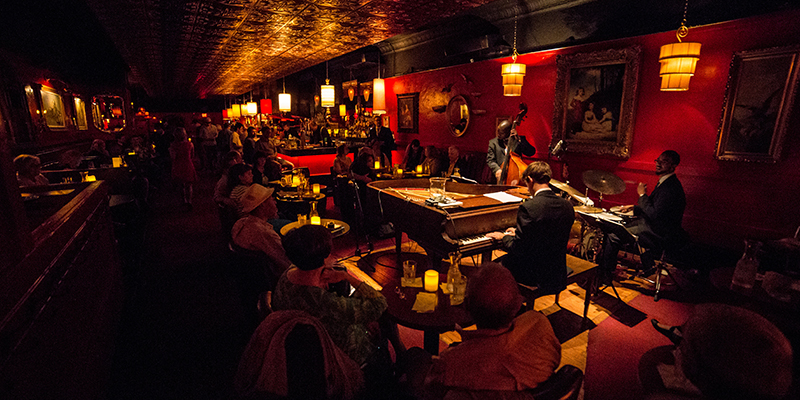 Swing by The Phoenix for a sample of jazz, Kansas City’s signature sound. Journey to 21c Museum Hotel for rotating art exhibitions that tell powerful stories of humanity. Musicals and cabaret revues get top billing at Quality Hill Playhouse, a 153-seat theatre only two blocks from the Library streetcar stop. This high-energy district is your go-to hub for nightlife and big-time events, ranging from basketball tournament watch parties to sold-out country music shows. Shop to your heart’s content at The Garment District, a collective exclusively featuring local brands and products, or Rally House, the quintessential stop to stock up on fan gear. From new blockbusters to past classics, Alamo Drafthouse is an elevated cinema experience featuring reserved seating, themed menus and exclusive movie events. Find it right next to the Power & Light stop. Catch megastars performing their best hits at Sprint Center, the second-busiest arena in the country, and other buzzworthy hitmakers at Arvest Bank Theatre at The Midland. Electric nightlife is the norm at KC Live! Block, where you’ll find everything from a dueling piano bar and country music hangout to frequent outdoor shows featuring popular musicians. Hands-on hoops haven The College Basketball Experience highlights every aspect of the sport, including high-pressure shot-making games, a broadcaster booth and the National Collegiate Basketball Hall of Fame. The heart of Kansas City’s creative culture thrives in this neighborhood that the arts built, now home to chic cocktail bars, bustling breweries and thought-provoking galleries. Travel from one renowned gallery to the next, each a different representation of KC’s dynamic art culture. Relive the joy(sticks) of your childhood at Up-Down, an arcade bar featuring countless restored games, including pinball, skeeball and other video game classics. Tour Kansas City’s booming brewery scene in the East Crossroads, where you’ll find Brewery Emperial, Border Brewing, Double Shift, Torn Label and Casual Animal. Unbeatable boutique shopping can be found throughout the district, including shops like Normal Human (wears and wares), Hammerpress (hip prints) and Raygun (quirky apparel and gifts). Jam into the late night at side-by-side jazz joints Green Lady Lounge and Black Dolphin, each only one block away from the Crossroads stop. For something more amplified, check out open-air venue Crossroads KC at Grinders. The end of the streetcar line is a true KC icon, standing proud as an achievement in architecture and transcontinental travel. Inside and nearby, you’ll find odes to this spirit of imagination and exploration in spades. Young ones love Science City for its interactive exhibits, jaw-dropping planetarium, dinosaur dig site and other hands-on activities. Expand your horizons year-round with internationally acclaimed traveling exhibitions at Union Station, including Dinosaurs Revealed, Pompeii: The Exhibition and Mummies of the World. Use The Link—an elevated pedestrian walkway—to connect to Crown Center, where you’ll find an assortment of kid-friendly entertainment, including an LEGOLAND Discovery Center, SEA LIFE Aquarium and Hallmark’s experiential Kaleidoscope. The National WWI Museum and Memorial is only steps away—be sure not to miss this moving, state-of-the-art tribute to the Great War.